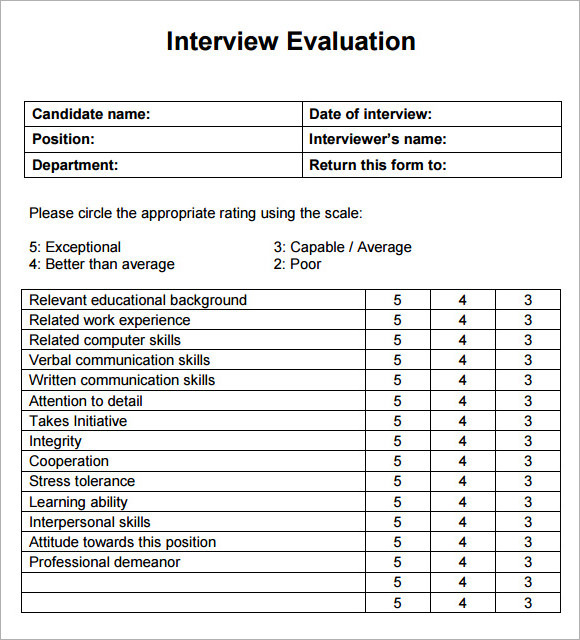 The purpose of interview evaluation form is to make a basis in accepting and declining an applicant for employment. 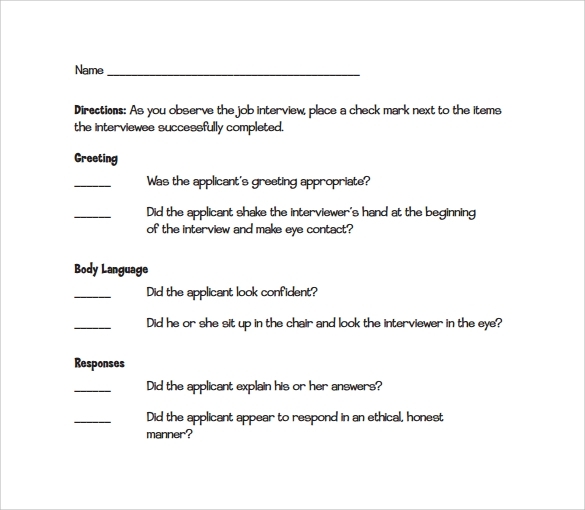 This is needed by the business management to select people for hiring after the interview. 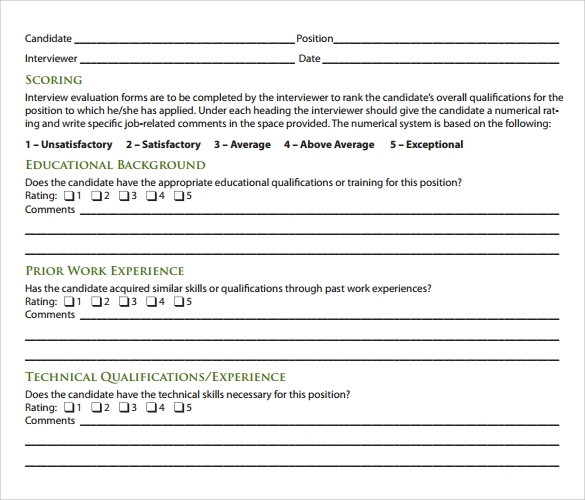 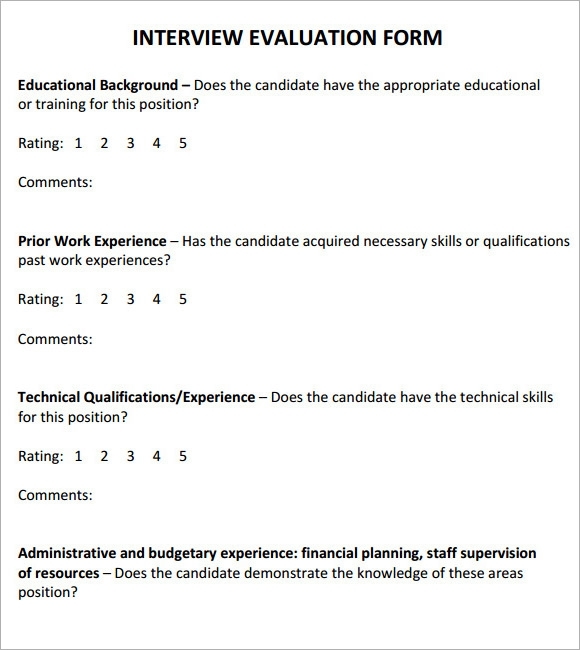 It displays the possible factors observed and seen to an applicant during the interview that will result to employment status.The examples in website template specific for Student Evaluation Forms are free and downloadable. 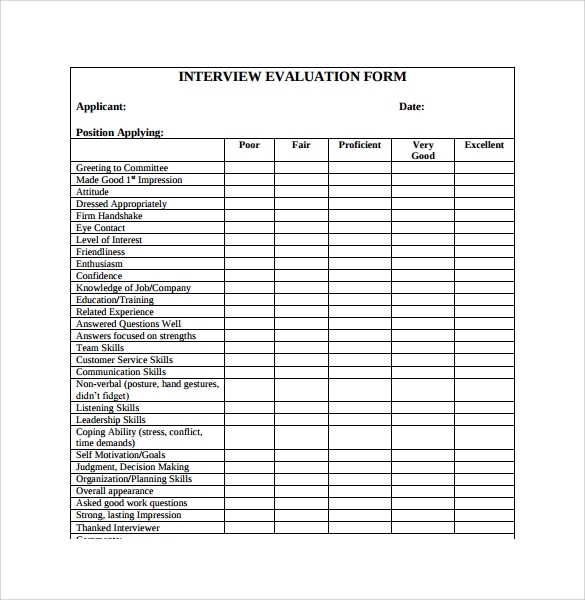 It is best presented in Microsoft Word or PDF format and once finish it is ready for printing. 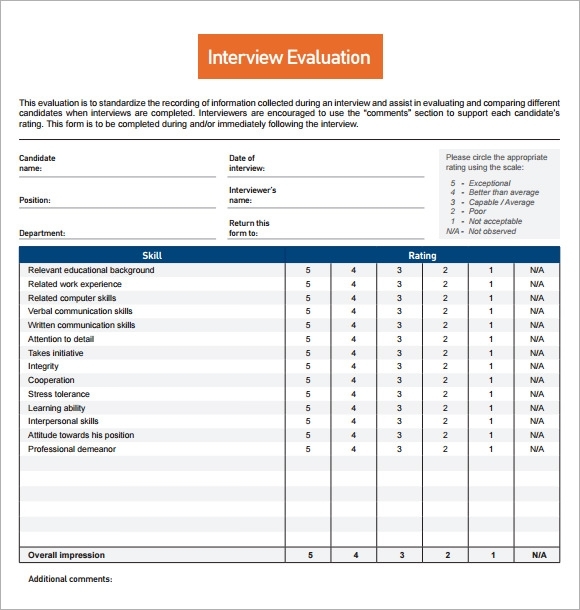 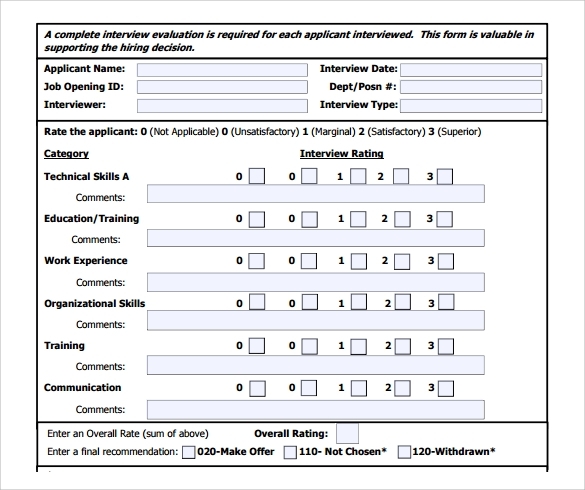 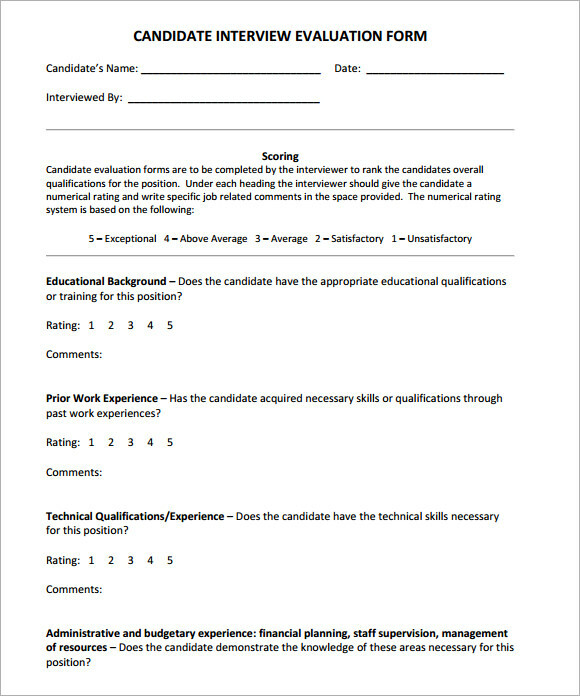 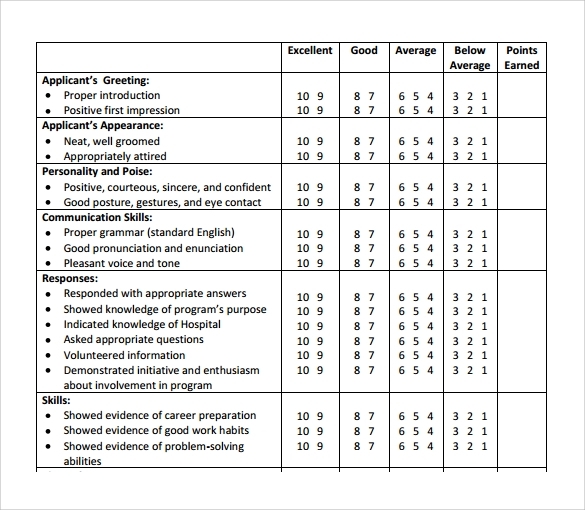 The interview evaluation form is right format for evaluating an applicant during the interview process.